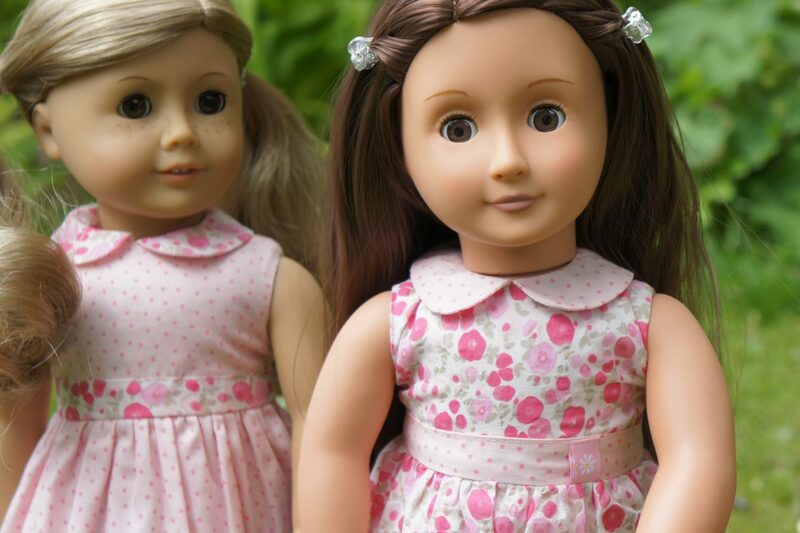 We are so proud to be able to introduce to you our new range of exclusive dolls clothes and furniture! After many months of design and development everything has come together and our gorgeous new products are all now in stock and available on the website. We have taken some lovely photographs to show everything at their best – because we want you to be able to appreciate the materials we have used and the quality of their construction, which I believe you can see thanks to the expertise of our photographer. 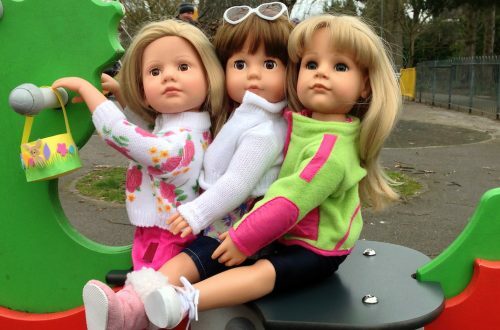 The dolls clothes have been designed to be like children’s clothes that they would like to wear themselves. 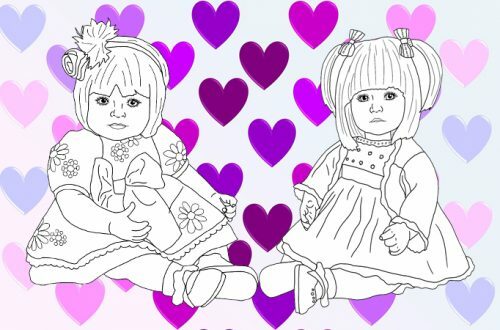 The patterns have been made so that they fit as many of our dolls as possible with extra care taken to ensure they fit Gotz Hannah dolls, Gotz Precious Day Jessica, Julia and Elisabeth, Gotz Classic Kidz and Happy Kidz dolls and Kids ‘n’ Cats dolls. However, since we have received the finished products we have tried them on so many other 45-50cm dolls and they seem to fit them all really well which is great. The fastenings are velcro so that young fingers can easily dress and undress their dolls. You’ll also notice that the fabrics used are very good quality too. 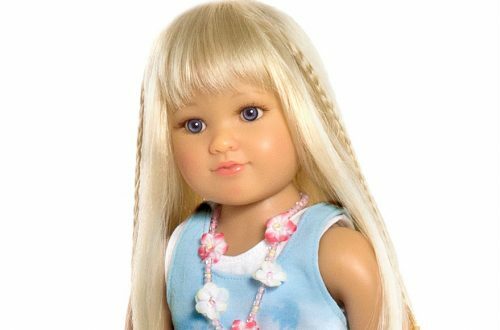 However, what makes these dolls clothes really special is that they have been made for Petalina in Europe yet the price we are able to offer them to you at is comparable to dolls clothes from our main suppliers whose products are made in China. All in all we are extremely pleased with the range. All the outfits come with a wooden clothes hanger which was also made in Europe for us and this is then placed in a white organza bag which is gathered around the hanger with a swing ticket attached. So what is included in the range? The Tunic and Leggings set is really excellent quality. The frills on the tunic actually go all around the back too and the fabric is jersey with elastane. The pale pink jersey leggings are more like trousers on Kidz ‘n’ Cats but they still look cool. We have teamed the set up with the floral pumps from the Gotz Straw Bag and Floral Pump set. Hopefully we will have some shoes for Petalina too. The Pink Frills Party Dress is simply beautiful. The fabric used for the dress is fine white voile with tiny dots printed on. It is actually the pink lining and the pink overlocking that gives the dress it’s pale pink colour. And, it is so beautifully made. You can see how nicely the dress fits Jessica so that her fabric body is covered, but it also fits Kidz ‘n’ Cats dolls well too because of their wide shoulders. The soft furry cape makes the dress incredibly special, making the outfit ideal for weddings, christenings and birthday parties in general. The cape arrives with the fur in slight tendrils. You can actually brush the fur to fluff it up if that is the look you prefer. What fun we had with the school uniform, with both summer and winter options available. We opted for a blue dress because it is probably the most common colour used. There is also a navy blue cardigan that can be added to both outfits. We will be adding more sets to the website over the next few weeks which will include the cardigan, and in the future we hope to have shoes and socks too. Unfortunately these aren’t available at the moment. We are also very excited about our Sky Blue Ballet Set because it is simply gorgeous! Unfortunately there is a slight delay in the arrival of this set but we hope to have it very soon! The set consists of a leotard, a tulip skirt, a ballet wrap with ribbon ties, a hair band, pink leg warmers and a pair of ballet shoes. Hannah and Luisa are modelling the various pieces of dolls clothes and it also shows how well they can be posed into ballet positions. Luisa and all the Happy Kidz and Classic Kidz dolls are just brilliant as their limbs stay put. Finally there are some Pretty Knickers available in a two pack. Again they fit lots of different dolls which was quite challenging for the manufacturers! It’s been such fun developing these dolls clothes that I don’t want to stop and already have ideas for more. I would love to know what you think! These clothes were so popular and many sold out very quickly. We haven’t had to replace anything at all because the quality was so good. We added shoes to the range which were all made for us to our design (in China) so that all the clothes could be sold as outfits. We wanted to make more but unfortunately the ownership changed at the manufacturers and we were unable to have more clothes made. Such a shame.